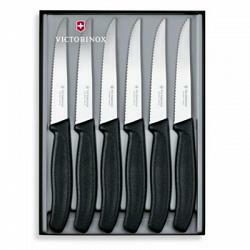 This set includes 6 Victorinox steak knives with pointed tip and a convenient storage box. 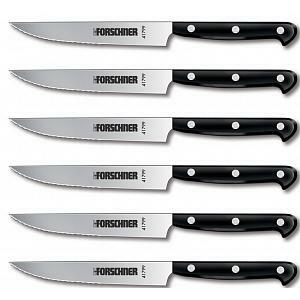 The steak knives are ideal for meats and other foods that require a good, sharp, serrated knife. 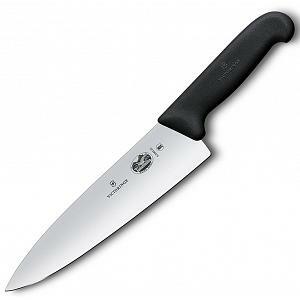 The spear point steak knives feature a 4.25" high carbon, stainless steel blade. 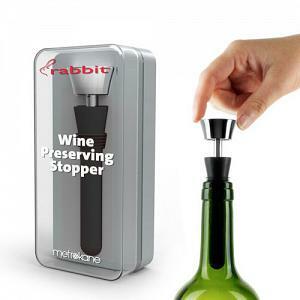 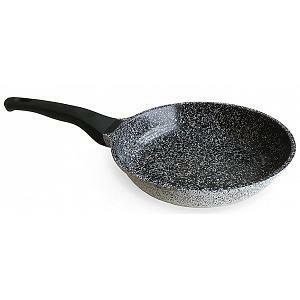 The knives have a comfortable NSF-Certified handle that is anti-bacterial and made from polypropylene. 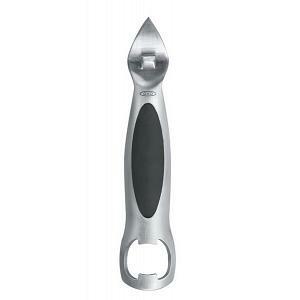 The steak knife has a taper-ground design that ensures sharp-edge retention. 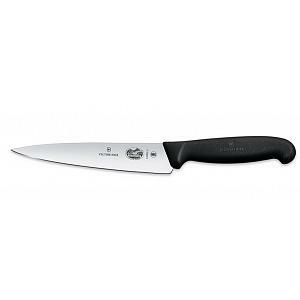 The Victorinox steak knives are dishwasher safe and are made in Switzerland.